Are you tired of feeding hay all winter? 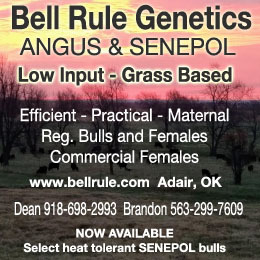 Want to save money and let your herd feed themselves? Yes! 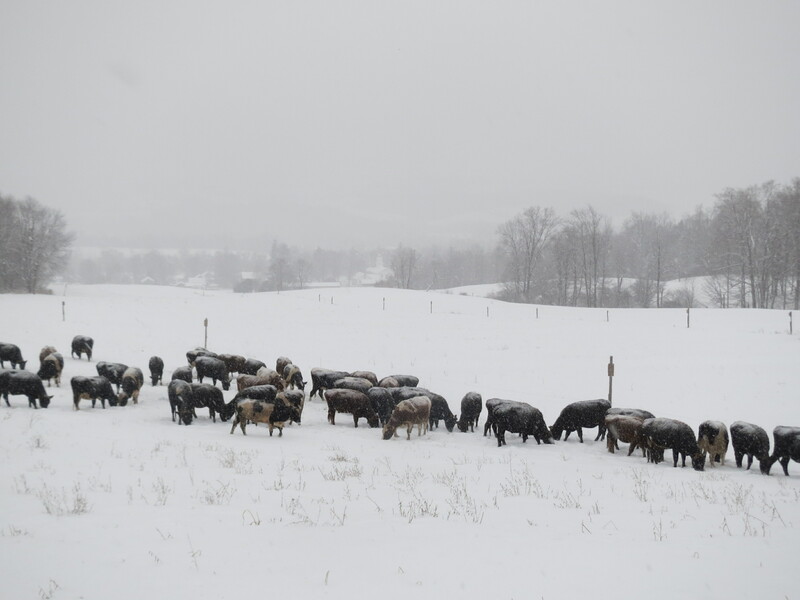 Your cows CAN graze in the snow! Join Us at The Bishopp Family Farm to See How To Make It Happen! 2809 Route 12-B in Deansboro, N.Y.
Pasture walk to see how Troy Bishopp custom grazes organic dairy heifer on fields of August-grown, stockpiled grass. Only $20 for the whole kit and caboodle! Stockpiling forage means you make more money and spend less time feeding your cattle through the winter. It’s something that Troy Bishopp has been doing with custom grazed heifers. 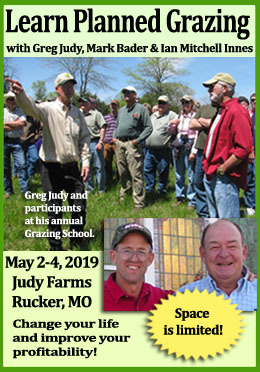 This year, he’s taking On Pasture readers along for the ride, showing them how he stockpiled his forage, how he plans to use it, and then what actually happens on the ground through the grazing season. It’s a chance for you to learn by example how this profitable technique could work for you. Now you have the opportunity to visit his farm and talk to him in person about what’s going on and how you can do it too. 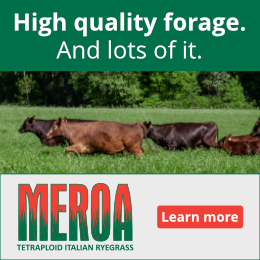 • How rested forage effects soil health and get a working insight on cold weather grazing and the nuances of making money with contract grazing. Forage and soil tests will be available to highlight real data from six years’ worth of using a 12 month planned grazing chart and holistic management decision-making principles on the farm. 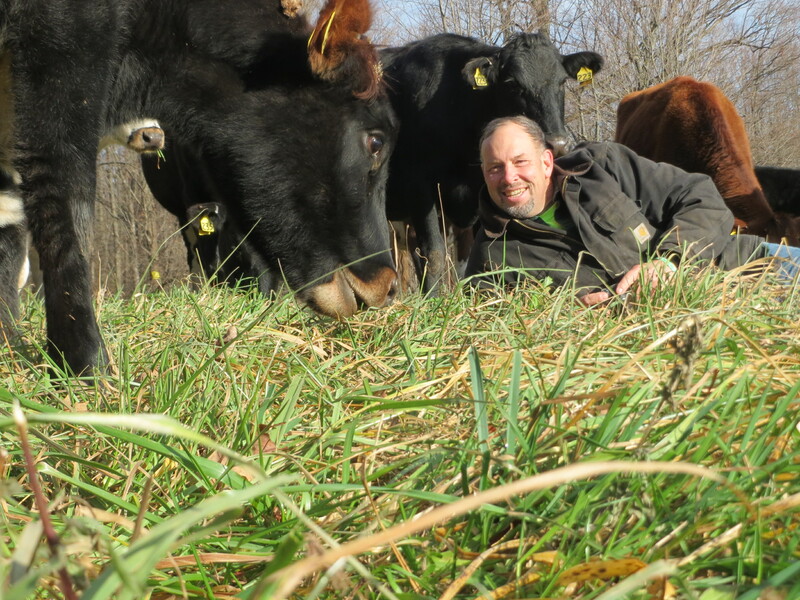 Troy’s goal is to give grazing practitioners and beginning farmers the faith that grazing in the non-growing season is possible, and profitable. And of course, he’s planned in plenty of time for visiting and networking with your fellow farmers. All This and Lunch Too! A hearty, delectable, homemade lunch by the Bishopp Family will be served,with ice-cream, of course! Lunch is at the Deansboro Congregational United Church of Christ. Pre-registration is required so we can make enough food for everyone. Cost is just $20 per person. To secure your spot call (315) 841-3336. The Bishopps are a multi-generational family farm and 2010 recipient of the prestigious New York State Century Farm Award for its continuous operation since 1877. The 100 acres of diverse pastures, woods, hedgerows and riparian areas in combination with grazing dairy heifers are managed organically in the quest for year round grazing within the Oriskany Creek Watershed. The grazing operation is managed daily by Troy Bishopp, aka The Grass Whisperer, who is a 28 year veteran grazier, outspoken grasslands advocate, teacher, conservation professional, freelance writer and photographer. Support for this event is being provided by Maple Hill Creamery in Stuyvesant, NY, Lee Publications, a USDA-NRCS CIG grant focused on energy savings through holistic planned grazing and management through the UVM Center for Sustainable Agriculture, Pennsylvania Certified Organic (PCO), Springwood Organic Farm and On Pasture. To follow the ongoing grazing project visit TheGrassWhisperer.com or OnPasture.com.